I almost feel weird writing about Mother's Day. After becoming a mother myself, it feels weighty and sacred and something that needs to be celebrated. But from a business perspective it feels commercial and not completely authentic. Of course, the sacredness of motherhood should be celebrated daily and through & She Moves I hope to do that. But today I thought I would take a moment to remind you of the aspects of motherhood that seem to get buried some days. The parts of us that we overlook when we're busy just trying to get through the day. Oh wow, motherhood has the ability to really make us feel unworthy. Like we're failing at everything. Totally overwhelmed and out of our comfort zones. But there is a strength and power than I had no idea I possessed until I became a mother. First of all, there's BIRTH. Regardless how you give birth, the entire experience is a practice in surrender and sacrifice. We sometimes forget about the psychological effects of giving birth and becoming a mother but in many other cultures there are rituals that accompany this rite of passage. Preparing for birth can seem daunting, the unexpected is not usually a comfortable place for us to be. But just know, you are powerful! 2. IT'S THE LITTLE THINGS THAT COUNT. I had this idea of being just the most patient, completely attentive and graceful mother ever. I watched my mother raise 5 children (all without a single drop of coffee or wine) and saw her work magic every single day. I didn't appreciate it at the time and things certainly weren't always smooth and orderly but she would bake a cake last minute for a school fundraiser; help with school projects; accompany kids on paper routes; attend sporting events...I mean the list just goes on and on. And when I feel like I'm failing and can't keep it all together, I'm reminded of those amazing things my mother did for me and my siblings. I'm sure she felt like she was just barely holding on but the memories of my mother's sacrifice and hard work will always be with me. So when I'm totally freaking out about something, you know, everything from birthday parties to Halloween costumes, to Christmas traditions to planning family photo sessions I need to remember that it's the small, simple things that will be remembered and cherished by my children. The walks in the woods, slow family breakfasts on weekends, reading books together bed and building sand castles together at the park. Those are the moments that feed my soul and connect me to these little beings I love so much. 3. there is strength in vulnerability. We all feel burnt out every now and then. We feel like we're trying to keep it all together, totally on our own. Like no one else could be struggling like you are-that those other mamas have got it all together. But it's a great lesson to learn, that nope, everyone feels like that from time to time. And it's also good to remember, that asking for help does not show weakness! Creating good community and mama friends you can count on to for help-whether it's picking your kids up from school or having a glass of wine on the porch at the end of the day-is SO SO SO necessary! This has been a key lesson for me to learn through my years of motherhood and it didn't come all that naturally in the beginning. But I've come to realize that most of the time people are happy to help if you ask. It doesn't show weakness, it shows that we are open to helping each other out. The infinitly wise Brene Brown taught me that when we open ourselves up to receiving help and acknowledging that we can't do it all on our own, we strengthen our relationships and make other people feel more open to the idea of asking for help themselves. 4. you are 100%, totally, fully and completely enough! I think you get the point by now, that you are totally enough just as you are! You are totally normal if you feel overwhelmed, bored, lost, tired, frustrated or any other millions of emotions! 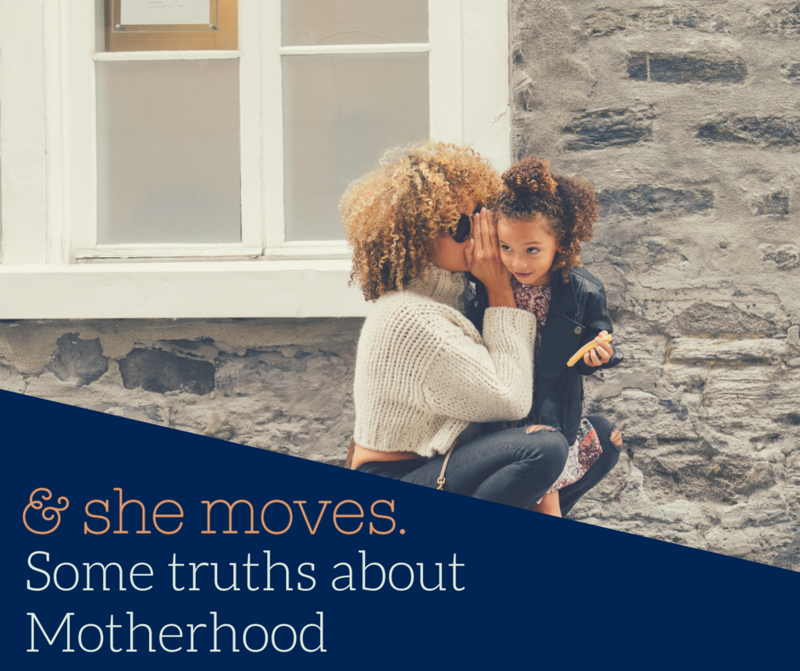 Motherhood is not a competition. It's not something that you need to succeed at. Our feelings of success or failure do not define us. We're gonna screw up, we're just gonna. And that is totally okay because this whole motherhood thing is a journey. It's not something that we can just check neatly off our list of things to do. So, pour yourself a glass of wine and raise it in celebration of how amazing you are! Cause you are enough.